The years from 1948 to 1960 represent a period of intensive development of Slovak ballet. However, this period must be described according to the individual performing companies because the evolution of each of them was very individual and specific. – Full development of artistic activities of the ballet company of the Slovak National Theatre – Ballet and the State Theatre Košice ako the most compact units. The Prešov company combined performances within the presentation of operas with its own productions. At the beginning it was driven by Czech choreographers such as Frank Towen, Bohumil Relsky and Karel Rasek. When Oldrich Bernatik joined the company, a successful period of the ensemble started. 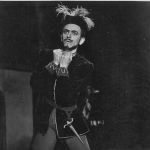 In 1959 he was replaced by Bohumil Svoboda for two seasons because Oldrich Bernatik with some ensemble members left for the newly-established Jozef Gregor Tajovský Theatre in Zvolen. 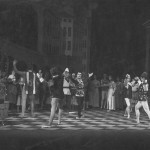 The ballet company of the Jozef Gregor Tajovský Theatre in Zvolen started its own production under the leadership of Oldrich Bernatik in the season 1959/1960. The ballet company attached to the Theatre in Banská Bystrica initially functioned only in the presentation of opera productions, but after 1959 when the music theatre/opera ensemble was set up as a separate branch in Banská Bystrica – the forerunner to today’s State Opera – its ballet troupe began performing its own ballet productions under the leadership of Frantisek Oldrich Bernatik. The Ballet Ensemble of the Slovak National Theatre went through several artistically-different time periods under the respective leadership of Stanislav Remar, Jozef Zajko, Milan Herenyi and from 1960 (after his studies in Moscow) Karol Toth. Half way through the 1950s, the Ballet Ensemble of the State Theatre Košice led by Rudolf Macharovsky experienced a very successful period, especially after the arrival of Stanislav Remar who was to lead the company until the end of the 1960s.